I never liked the American VAs. They just sounded awful. Usually I don't care. Like FMA sounded great in Japanese and in English. But Naruto was just grating. Really? I always thought the voice actors, at least for the main cast, were actually pretty well done and matched the characters fairly well. Sasuke's voice fits pretty well and I think Sakura's isn't a bad voice for her character, either. Aside from a couple of side characters here and there, I thought they all fit pretty well. Rock Lee was a little strange and I couldn't stand Hinata for how softly she spoke. Edited by Dalton.T.R, 11 March 2019 - 11:42 PM. What male voice would fit Naruto? And by Naruto I mean Shinachiku's dad, not Bolt's dad. Well, for Naruto The Demon Within, Ken, I had considered going with Todd Haberkorn as one candidate to voice Naruto, primarily based on how his work as Natsu in Fairy Tail always reminds me of Naruto, and I figure besides doing Naruto at 16 that he'd easily be able to handle him beyond his teens and into his twenties and such. SO if we include the Chunin Exams and the Konoha Invasion as one arc (which it technically is) and it went on for 2 years (2000-2002). My Quick thoughts: Those breaks should've been longer at least a good 2 months would've been great, but only 2 weeks? Man I know Part II (even during it's early days) had cracks that would slowly chip away overtime, but knowing this... It only further explains even more with how everything has turned out with the series. The manga was entering it's 6th year in 2005 no less. Anyway, most of 2005 was strictly the Kazekage Rescue Arc, and near the end of the year was when The Sai and Sasuke begins. This is where the story shifts over into The Pursuit Itachi Arc ending relatively in the exact same year (around mid-2007) - supposedly this was when Yahagi moved on from being Kishi's main editor of the series. My Quick Thoughts again: Wow so ultimately 8 years of the manga's run and then Yahagi left his position after Sasuke and Itachi's fight concluded. This was 2007 as well so I personally feel the picture's getting a little more easier to interpret with the direction of the series. Does anyone the details of if Yahagi had any involvement for The Pain Arc? Because if not I'm surprised with how great it turned out despite not having him. Then of course we hit the Timeskip of the series being Part II where a lot of people began having mixed opinions on the series. I will say that despite Part II not being on the same level as Part I, the first half of it was pretty good up to Pain Arc. First Half of Part II would be like Great to Great+ (8 to 8.5/10) even with some noticeable cracks it still held up. I think everyone is on the general consensus that Second Half just tanked massively I mean again 5 Kage Sumit Arc WTF? to the War Arc are you serious? 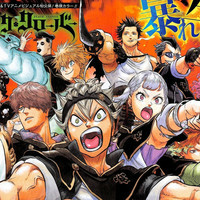 the war arc we all know my rating is a "Crap"+ (1.5/10) at best because there were some hidden gems there, but it's covered in like a big pile of kitten. This just also further goes to show you that Naruto's final 4 years as a manga really was plummeting from what it was during it's first 6 Year arguably 10 years if we go all the way up to Pain Arc. Anyway that's just my deep analysis thoughts on the matter when viewing this hiatus chart in the sense of the arcs from where they started and ended including when exactly did Part 1 end in the manga, and when Part 2 started. The highs and lows of what was once an amazing series from Part 1 to ultimately missed opportunities with Part II as a whole. Edited by LuckyChi7, 13 March 2019 - 06:20 AM. Props to whoever made that video. The issue wasn't that one side didn't get their preference, it was all about what the characters were set up to do and suddenly that was abandoned. I generally don't have a problem with dubs; in fact, I think the majority of them have come a long way since the old Speed Racer Days. People actually put effort into their voices nowadays and the scripts are usually fairly accurate to the original translations. Before it was just phoned in and names were changed left and right. That just reminds me that I spent 15 years wasting my time for such a crap ending. The American VAs' voices were fine, but their "tone of voice" when speaking was TERRIBLE. lol They were all so monotone and devoid of emotion, plus the dialogue spoken itself was very cringing to hear, not to mention also very "childish"
Edited by Phantom_999, 20 March 2019 - 07:29 PM. Who would you say was the best VA in english Naruto? Edited by Phantom_999, 31 March 2019 - 03:11 AM. I really like Sakura's voice actress for the dub. Naruto's dub voice I was fine with for the most part, wouldn't say it's the best thing in the world. That's just what I've become accustomed having watched the dub first before the japanese. I'm fine with both. Madara Uchiha's english was pretty spot on I mean he did later become the voice of Zarkkon in Legendary Defender lol. Sasuke's voice actor was great too. The biggest standout for me though when it comes to the dub probably has to be Kakashi, Minato, and Kushina. Hinata's voice in the dub was a bit weak which has nothing to do with the voice actor because she's done some amazing stuff whether it was Mitsuha from Your Name, or Eureka from Eureka Seven. Not gonna lie, her portrayal as RTN Hinata was funny in probably the best way possible if that makes any sense. Otherwise, I feel the English dub va's where great. Wouldn't say it's out of this world, but it is neat that's about it. Edited by LuckyChi7, 15 March 2019 - 12:47 PM. Kyle Hebert also wasn't too bad as Kiba, and I do enjoy Brian Donovan as Lee, especially when played with Skip Strellecht's Guy. I stated before, Stephanie Sheh nailed Usagi/Sailor Moon in the new dub, especially in the emotional scenes and the episodes that weren't even shown on the original DiC dub (like the crucial ones missing before her fight with Beryl/Queen Materia). Yeah, she really did a job well done as Usagi. Even in Crystal. I thought the English VAs for Naruto were okay (maybe cause I grew up with it lol). I prefer the Japanese VAs wayyy more for this series though. They sounded a lot more mature. was just stumbling around on tumblr, and I came across in the narusaku tags. That is definitely saying a lot and very true (minus the whole ss fanart and fanfiction stuff)! I'm just glad some of the NH/SS shippers are slowly opening up to the manga's ending not exactly being what it is. Edited by LuckyChi7, 21 March 2019 - 04:21 AM. I'm just glad some of the NH/SS shippers slowly opening up to the manga's ending not exactly being what it is. Sooner or later it was bound to happen. I love hearing smart NaruHina fans who thought it wasn't right on how they got together. Yeah, there is a minority of NHers with actual common sense who, while it's their preferred pairing, they also hate the ending because it doesn't feel earned and they hate the idea of being "handed the win" out of pity.